Are residents bored with boards – or do they just not get a look in? On Wednesday evening, I listened while seven white British local estate board members and four white British members of EeH’ staff expressed or condoned/did not challenge views concerning the undesirability of encouraging the participation on the local estate board of residents from minority ethnic groups. This was on the grounds that anyone with limited English was incapable of contributing appropriately to estate board meetings and decisions about the estate and residents’ homes and neighbourhood. The comments arose from discussion about the wording of the notice of the upcoming AGM of the local Estate Management Board, when all estate residents are entitled to attend and vote in the elections for places on the estate board. distributing information other than entirely in English, on the grounds that, if residents didn’t understand the notice, they would be unable to contribute adequately or appropriately to meetings. One BME Board member, whose first language is English, agreed with this. The two for whom English is a second language remained silent. The fact that residents might just want the opportunity to vote for their choice of resident representative to attend meetings somehow got forgotten. When I suggested it was important to provide some kind of ‘bridge’ for residents, from current levels of exclusion to initial stages of involvement, in line with EeH’ equalities duties, this was dismissed out of hand by white Board members, whose remarks were not challenged by EeH staff. There appeared to be a view that no-one was interested in ‘all that equalities stuff’ and one board member asked me why I kept ‘bringing up such stupid ideas’. This is how the reality of EeH’ expressed aim of working particularly to engage hard to reach groups translates into reality on this Estate, at least as far as resident participation in formal local governance, consultation and decision-making is concerned. Earlier in the week, on Monday, I attended EeH’ AGM, which, in some gesture that appeared entirely tokenistic in view of the non-inclusive way in which the proceedings were conducted, had been belatedly advertised for the first time as being open to EeH residents. Curiously, given that this was an obvious opportunity for residents to meet and talk to Resident Board Members, often again for the very first time, only two of the current 7 residents on EeH’ Board put in an appearance. There was a fair cross-section of residents from EeH estates -tenants and leaseholders; older Tower Hamlets residents well into retirement, with a long history of living in the Borough; younger residents, including Bengali parents with young families; white, Asian and black British men and women from the Borough’s local diverse communities. EeH’ Board of Directors, some of whom attended this AGM, are a rather different group of people. For residents, election to the Main Board means reaching the pinnacle of EeH’ formal resident representative structures. The Resident Members of EeH Main Board thus provide a useful means of assessing EeH’ success in engaging a broad cross-section of its residents at the highest level within its governance framework. 25% were aged over 80. 25% of members were under 50 years old. 25% were from BME communities and of these both were male. 50% of the Resident Members of EeH Board were thus White British/Irish and male. Since the recent resignation of one of this group, the average age of these board members is 79. There are no female resident board members from BME groups. Three of the current Resident Board Members come from just one of the eight EeH estate areas, leaving two estates with no Resident Board Member. 50% are White British/European and female, one of whom now lives in the Borough but who is a European financier. 25% are white British and male, including the Chair, who is a local resident and has been in post since 2004. 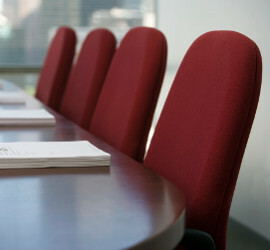 There are no female Independent Board Members from BME groups. 37.5% of members have close established links with Tower Hamlets local residents and communities. This is the composition of the Board controlling a Council sponsored RSL, which was described to residents in the stock transfer consultation as a new organisation, the shape and direction of which would be ‘formed through its close involvement with the local community’. It should surely be of some concern that the Board so little reflects the make-up of Tower Hamlets’ diverse communities and the younger age groups that predominate. The composition of the Executive of EeH, Chief Executive, Senior Directors and Company Secretary, is 100% white British and male. It is surely a moot point whether EeH Resident Board Members can present a robust, well-informed and independent challenge to the policy recommendations of an Executive with this sort of bias. This is of all the more concern as these policy decisions will have far-reaching implications for the homes and lives of local people, who have no other representatives on which to rely in influencing decision-making than these Resident Board Members. As no one will probably read her usual diatribe, I won't bother to set the record straight. I'd suggest increasing her medication, or find a hobby to occupy her time. Machine Molle's offering is most disappointing. Whoever she is, she has an axe to grind, it seems. I wonder if she would care to expose it to view? The piece is one that should give all readers and residents pause for thought, not so much about what she writes but the words and phraseology is more than suggestive of one who does nothing so well as when she has a hobby horse to ride and who is ready to play the race card to achieve covert aims. This individual is a sad but strikingly good example of the run-of-the-mill-white-liberal who embraces 'minorities' for undisclosed but ultimately self-serving purposes and who will sell-out anyone to accomplish whatever bee-in-her-bonnet idea she wishes to foist upon the rest of us. Racism and playing the race card hides unconvincingly below the surface of her words. Opportunism is it's signature and a complete inability honestly to use data is its hall-mark. As I said, most disappointing. Ouch! I wonder if we're at cross purposes Please wake up. Wasn't it you who posted about Transparency and Accountability being presently quite absent in EeH? Mind you, that was some time ago. May be they had some sort of epiphany? Still, some very eloquent arguments and some very well-rehearsed ideas. Not quite sure why you're using them to give me a pasting - something to do with the grinding of your own axe, may be? This garbage cheapens your website, and only festers even more bad feeling. I wonder why the writer hides behind a pseudonym? At least have the guts to put a name to your ridiculous and outlandish accusations. Don't think even garbage can 'fester' anything, to fester not, in common usage, being a transitive verb. But then, we don't all have a very good command of English, do we? And we have to use adjectives like 'ridiculous' and 'outlandish', which have entirely unreasoned and yet powerfully emotive derogatory connotations. Can we up the standard of debate, please? Reasoned argument being on the whole safer ground than populist appeals to suspect sentiment. Sorry, I do not understand such long words? Perhaps I should go and get taught some stuff innit? You're snobbish and elitist sentiments really do show you in your true light. I may not have studied linguistics for 5 years, but I know a bare faced liar and hypocrite when I see it. Please don't confuse command of the English language in a manner, and the use of such to belittle others as intelligence, commons sense, or the ability to forge lasting relationships and tell right from wrong. Pot commenting on colour of kettle comes to mind! This site didn't ask for my name, perhaps you should take that up with the administrator? I don't see your identity either? Also, I responded to the comments made by some coward who has told a pack of lies to further her cause, and tried to drag race into the equation. Are there no tactics she won't stoop to? so does it mean they are looking for competent members only by looking at their English ability? I think every member is entitled to have a say and not just entitled but also a right. I was at the EEH board meeting and felt it was a complete waste of time. Members of the board could not be heard by residents that attended the meeting and no real information was provided. The standing down and re-appointment of the same board members only reaffirmed the view that there is no real wish to open up the board to other residents and leaseholders. Equally it was clear that even after the formal meeting that no members of the EEH board wished to engage in any conversations with the leaseholders and residents that had taken the time to attend the meeting. I felt it was a “non-meeting” with perhaps the real meeting having being held somewhere else prior to the AGM. I am not bored with boards but disappointed that they are not truly open to all leaseholders and residents. The end of 2013 sees the renewal of the GEMB so let us hope that it will see a return to intelligent collaboration, amicable discussion and disinterested pragmatism as well as a refusal to tolerate the sort of sectarianism that too long has masqueraded as community politics in this Borough. The GEMB does not exist to serve any one group. It exists to serve the needs of the Residents, as a whole. It is not a forum for the pushing of any particular envelope because one group is said to have special needs that require special consideration over the less special and unique needs of another group. There can only be one community for the GEMB to serve and that is the community known as 'the Residents'. Unity in diversity is demanded of the GEMB. The objective of the new Board must solely be the benefit of Glamis Estate Residents. To achieve this there are and cannot be any 'special cases' and the days of playing one 'community' off against another 'community' are over.